FREE DEMO: File 5500 Forms Efficiently with ASC! Interview with Brad Watson, ASC Support Team Member for over 15 years! Increasing Your Efficiency! Announcing Integration among ASC’s 5500, Compliance Testing & Val Systems! In addition to the recent integration between ASC’s Val and 5500 Systems, ASC has added many other time-saving, helpful features. For example, your clients can avoid missing deadlines with the new “Invite Signer and Reminder emails” feature. Other enhancements include: Custom Email Templates, expanded “Search and Extract” capabilities, as well as the ability to import and export Schedule SB data. Our Support team continues to add FAQs to our website, update the 5500 User Guide, as well as expand form validations and on-line Help. These enhancements give our 5500 users even more reasons to rave about the system. If you’ve not yet signed-up, we encourage you to see the system for yourself. Importing your client data into the ASC 5500 System is simple and quick. All you need is the clients’ EINs to automatically import the clients’ previous years data into the ASC 5500 system. Contact Claire for a demo cmay@asc-net.com! On June 16th at 2:00 PM (ET), see how this year you can file 5500 forms more quickly and easily. The demo is geared toward users who are not currently using ASC’s 5500 system. Brad Watson, a mainstay within ASC’s Support Team since 1994, provides all around client support for most of ASC’s Systems. Additionally, Brad writes custom routines for clients, including scripts to automate processes and custom Reporter reports. Brad grew up in Wellsville, New York, a very small town with a population of only 8,000. After completing graduate school, Brad decided to leave his small town to head West. After a brief stint in Phoenix, Brad moved to Los Angeles to work for ASC. After spending the better part of his first years with ASC traveling around the country training clients, he decided that moving back to upstate New York to raise a family was a good idea. 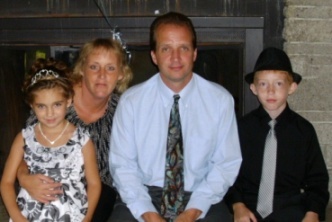 Today Brad and his wife, Lisa, live in Wellsville with their son, Tyler, 10 and daughter, Emily, 8. After renovating two other houses, they then bought a 100-year-old farm house and modernized it, including adding a dedicated home theater, a game room, and a pool, doing most of the work themselves. They’ve been living there happily ever since, raising their children and enjoying small town community life. Q: How did you get on board the ASC Support Team? A: After receiving my MBA from Clarkson University, I took a job with a TPA firm in Arizona that was an ASC client. When that firm was acquired by a larger company, I felt that I had outgrown my position there, so I started looking for other opportunities. I knew both former ASC Support Vice President Sarah Simoneaux and ASC President Alan Gould. I asked Sarah if there might be a position available at ASC. After quitting my job in Phoenix and moving to L.A., I went to work for ASC in their Tarzana office. A: Back then, ASC was still a small company. I felt very comfortable at ASC from day one. Alan Gould and the rest of the ASC employees made me feel part of the team right off the bat, and confirmed my assumption that ASC would be a great place to work. My job at ASC focused more on the computer side of things, rather than on plan administration as I had done in the past, and I thoroughly enjoyed the change of pace and new challenges. Back then, and still today, ASC has always felt more like a family than just a place of employment. Q: What is your work relationship with the ASC support staff? A: Since I provide support for many of the ASC products, I work with the entire support team and communicate with them via scheduled meetings, emails, and phone calls. It’s a great team to work with, and the low amount of turnover amongst the support staff and ASC in general helps as well. Q: What skills do you employ on the job on a daily basis? A: Definitely my ability to multitask and stay organized, as I tend to juggle a number of things on any given day. I try to prioritize everything throughout the day, and I try to document all questions and responses as thoroughly as possible, so that we can refer back to them when needed. I also tend to pick things up quickly, which is needed as our software is constantly changing and expanding into new areas. Q: What do you find most challenging about your work? A: The need to keep up with a lot of different aspects of the system. I tend to like to learn the new aspects of the system and our products, but that unfortunately results in me having to constantly switch gears throughout the day between the various systems, and sometimes that is a challenge. But, the benefit is that when my work day is done, I’m done. I try not to bring my work home with me whenever possible. Q: Do you ever get stressed out on the job? A: Here and there I do, but I’ll take a break and get some fresh air, or take our dog out for a walk to get my mind off things. I also try not to let things roll over to the next day. At the end of the day, I try to have all of my outstanding issues resolved so I can leave my job with a clear head. Q: What’s kept you at ASC for 17 years? A: The job flexibility has provided me with the opportunity of having more time to spend with my family. I like the fact that I am home when my kids get out of school. As I mentioned before, ASC has always felt more like a family than just a job. For example, when I was living in L.A. my grandmother passed away and I had to fly back to New York for the funeral on a moment’s notice. I told Alan Gould that I would be out of the office for a few days to attend the funeral, but then ended up deciding to not fly back due to the high cost of the ticket on such short notice. When I called Alan to tell him that I wouldn’t be leaving after all and why, he told me to meet him at the local United ticket office and proceeded to purchase the airline ticket for me. Fortunately, a few months later I received a complimentary ticket through United’s frequent flyer program, which I gave to Alan as a thank you gesture. A: I try to do my job well. I take my time to fully understand the client’s problem or issue, then I work on a solution. I enjoy the challenge of solving new problems each day, and I enjoy troubleshooting and learning new things along the way. A: Home improvement and taking care of an old house and a big lawn take up a good deal of my time, but I enjoy doing it. My kids and I thoroughly enjoy movies, and I am a bit of a sports nut, so I set up a home theater with an HD projector, a 100-inch screen, and 7.1 surround sound. I even have transducers hooked up that shake the floor during deep bass moments of movies. I also enjoy golfing whenever possible, helping coach my kids at whatever sport they are currently playing, and being very involved in our local Lions Club. Q: What do you think you might do after retiring from ASC? A: I would love to install custom home theaters in people’s homes, but unfortunately there is not much of a need for that in a small town like the one that I live in. Ideally, I would like to own or at least manage a golf course someday, since I don’t have nearly the game to be a professional golfer. A: Well, you wouldn’t think that I do this for a living. I used to play guitar in a couple of local bands and record my own music, and my plan as a teenager was to move to L.A. and play in a band, not work for a software company, but going to college and growing up tend to change your priorities and focus. As far as my personality goes, I tend to be a bit of a jokester, I love to have fun and laugh, I like to spend time with family and friends when time permits, and I like helping others whenever I can. The fastest way to get your billing code is email: accounting@asc-net.com. It’s that simple! ASC’s EFAST2 5500 Forms are now integrated with ASC’s DC/401(k) Recordkeeping & Compliance Testing and Defined Benefit Valuation Systems. This integration will decrease your need for redundant data entry, making you more efficient and reducing risk of human error. This integration is in addition to the integration that has always existed between the 5500 Forms and Plan Document Systems. Regarding the details of the 5500 & Val Systems Integration: Valuation system users extract the data from their ASC plans, then choose to import single or multiple plans into their forms in the DGEM 5500 System. Data includes basic plan information and participant counts, as well as financial values for the Schedules H and I. Defined Benefit plans also have Schedule SB data transferred. Since some ASC Valuation users may not keep financial data on all cases, the import will allow users to selectively transfer to specific schedules. Schedule SSA data will be available later this year once final formatting requirements have been published.